We usually spend too much time just trying to streamline our lives, making daily living a bit easier, a bit quicker. There are thousands of ways to make your daily lives easier. 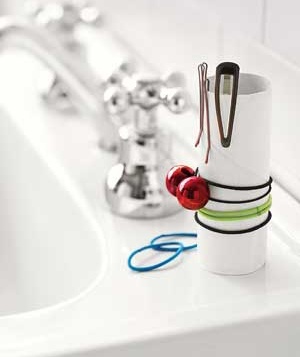 Here are 22 solutions you may not (or may) have thought of, that will make daily life just a bit simpler! 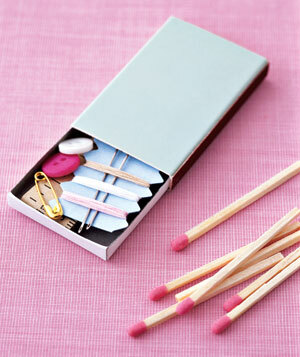 Empty a matchbox or use an old one. Insert some needles, strings, safety pins and buttons that will serve you as an emergency sewing kit for quick fixes! If you're going on a trip and want to pack various jewelery like necklaces and bracelets. 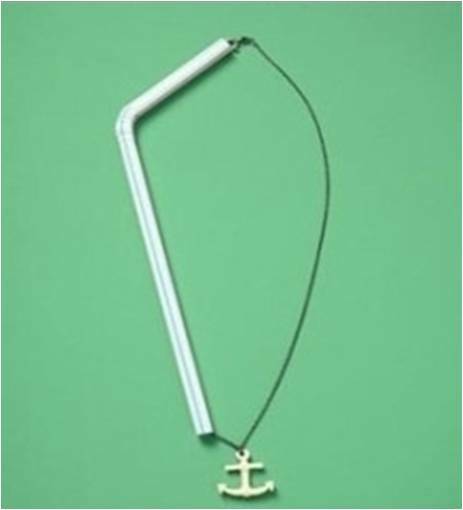 Instead of throwing them in a box and spend a lot of time trying to unbind them from each other, thread a straw through the end of each piece of jewelerry, so it stays exactly the same! WAIT! Before you throw that roll of toilet paper away, you can actually do quite a bit with it. 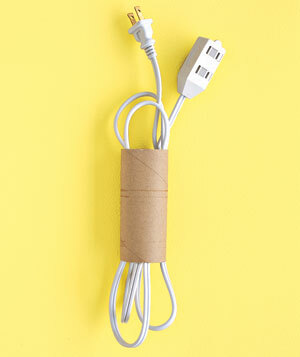 For example, a roll of toilet paper is a perfect solution to keep cables from getting too bound with each other. Another handy option is to use it as a device to hold hair pins and bands, which as we know, have a tendency to get lost. Forget about the pile of plastic bags you are hoarding under the sink or putting one inside the other to make a puffed up ball. 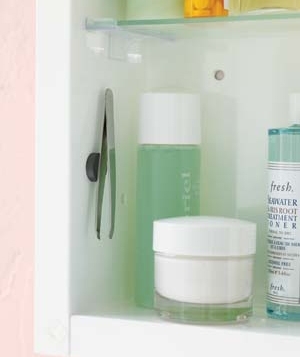 Make their storage a lot more pleasing to the eye. 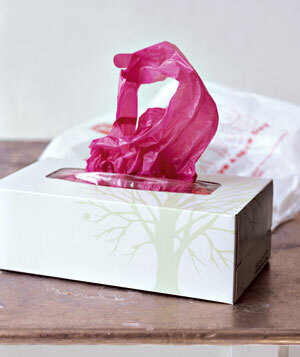 Find an old tissue box, insert plastic bags in good condition, and just pull them out one by one when you need to. It'll look nicer and give you a handy option in any room of the house. Shine your leather shoes using plant oil. At first, use a soft, moist towel to remove the dirt and dust, and then drip a little oil on a moist cloth. Rub the oiled cloth gently against the shoes and you will have a shining solution! If you've lost your camera satchel, it isn't the end of the world! You can still keep it safe. 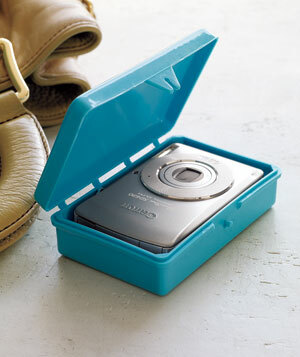 Find a plastic soap box, make sure the size is right so the camera doesn't move inside and suffer hits - and there's another creative solution! 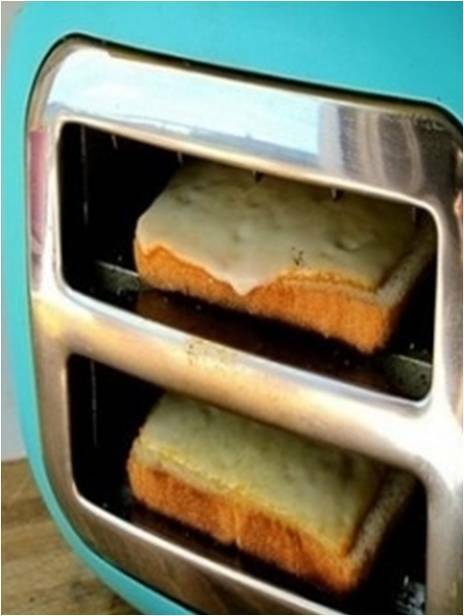 If you want to toast some bread and add a piece of cheese, there's no need to use the oven - just put the toaster carefully on its side and do the same with the bread and cheese to get cheese toast. A shower cap is a convenient, clean and easy to fit solution for packing shoes. Instead of carrying around noisy plastic bags or suffer the dirty shoes touching your clean clothes, use this delicate hat and its high quality rubber to store and carry around shoes easily. 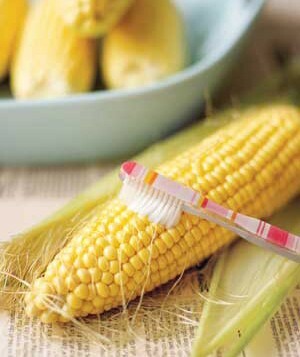 Use a new and clean tooth brush to brush the fibers off the corn cobs, and to make it ready for lunch quickly and efficiently. 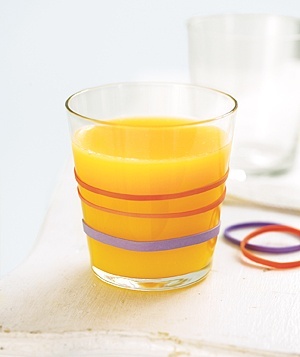 If you want to avoid having a glass slip from between your fingers, put a few rubber bands around it, and it'll never slip again! 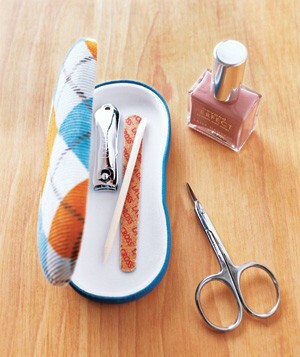 A safe and easy way to carry your manicure set from place to place (scissors, nail file etc.) 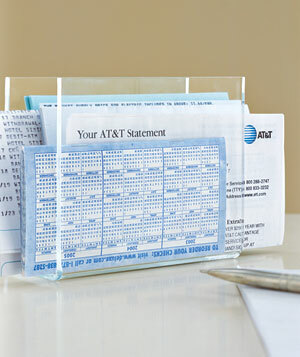 is by putting these sharp items in a plastic box meant for glasses. Of course, make sure it doesn't already have glasses inside... The hard plastic will keep the pointy ends from doing damage and is extremely easy to carry. Audio cassettes may not be in use anymore, but you can still use their plastic casings. 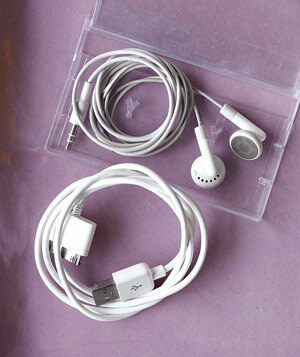 If you want to keep earphone cables or USB cables from intertwining, use these boxes to loop them around neatly, and they are also transparent and compact, perfect for checking that the cables haven't made knots! A lemon is very useful in removing stubborn stains from plastic or wood cutting surfaces. 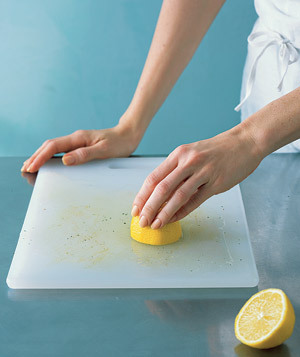 Squeeze half a lemon on the surface, rub well and let it sit for 20 minutes before washing. Don't want your old picture anymore? No problem! 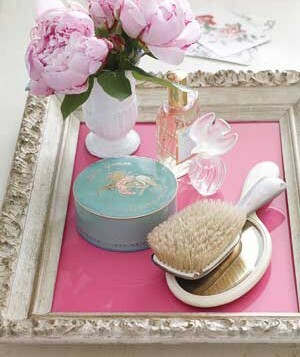 Turn it into a handy and decorated tray! 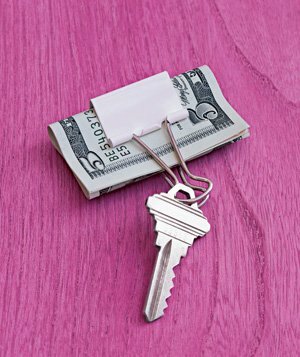 If you're going on an errand and don't want to carry your keys and wallet with you, use this clip to carry both key and money without losing anything. Painting around door or window handles is always a bit of a problem, and plastic bags usually take too much space around them. 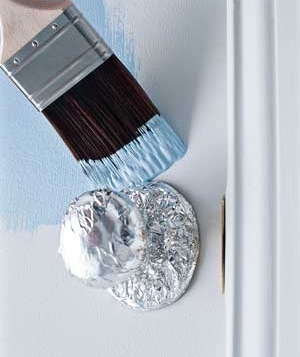 A great solution is just using metal foil to wrap the handles tightly, and to remove after you're done painting! 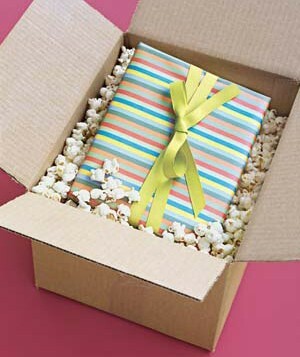 Instead of using styro foam or paper to keep a package from damage, just use popcorn! Instead of contacts - Pills! 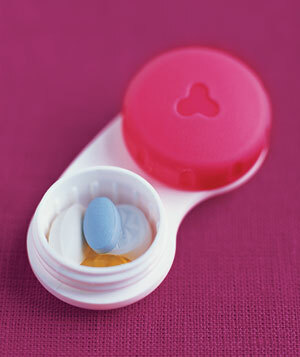 Instead of carrying around bottles or packages, put your (non-prescription) pills in a contact lens box. This way you don't have to carry around those cumbersome and often noisy boxes, and they pills will be safe and secure in this handy little box. Take notice: This method may not be good for people who have small children who may go through their bags and swallow the pills.